With snow, freezing rain, and other hazards, winter is a unique time of year—especially for drivers. How can you have confidence that your vehicle can handle whatever winter throws your way? As the team at Jim’s Auto Clinic in Cincinnati, OH, notes, keeping up on necessary auto maintenance during the winter isn’t just a matter of keeping your vehicle running smoothly—it’s also a matter of safety. Cold weather can have a significant impact on the drivability of your vehicle. Basic auto maintenance tasks like checking coolant and oil levels are recommended because they’ll keep your vehicle from experiencing weather-related performance issues. With the right fluids in place, you greatly reduce the risk of your engine freezing up. Other maintenance checks have a direct impact on your safety while driving in winter weather. For example, scheduling brake service can give you confidence that you’ll be able to stop in time, even during a snowstorm. 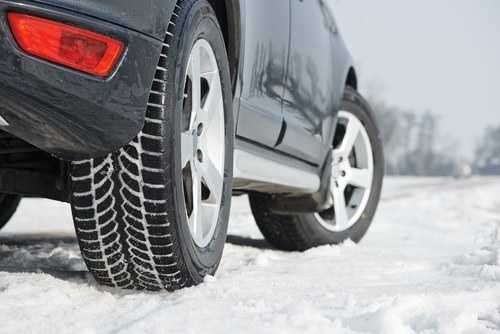 Drivers who experience excessively snowy or icy conditions should also consider switching to winter tires, which provide improved traction and handling. Even seemingly minor auto maintenance tasks can have a direct impact on vehicle safety during the winter. For example, it’s always a good idea to check that your windshield wiper blades are in good condition so that you can maintain visibility during a snowstorm. By keeping up to date on your auto maintenance needs throughout the winter, you won’t have to worry about getting stranded on a cold, snowy night. Even more importantly, you’ll reduce your risk of an accident. No matter what type of auto maintenance you need to keep your car working properly this winter, you can trust Jim’s Auto Clinic to provide quality work. In business since 1974, their ASE-certified technicians will always get the job done right. To learn more about the services provided by this auto repair shop or to learn more about current specials, visit them online or call (513) 662-6696.